If you’re browsing the web using the Edge browser and you ever want to save a web page as a PDF for later, Microsoft has made it easy to do. Little by little, Edge is catching up to other browsers Which Browser Is Best? Edge vs. Chrome vs. Opera vs. Firefox Which Browser Is Best? Edge vs. Chrome vs. Opera vs. Firefox The browser you're using right now may not be the best one for you. The browser arena changes so frequently that your conclusions from comparisons made last year may be completely wrong this year. Read More . Not sure if Edge is the browser for you? Here are several reasons why you might love Microsoft Edge 10 Reasons You Should Be Using Microsoft Edge Now 10 Reasons You Should Be Using Microsoft Edge Now Microsoft Edge marks a complete break from the Internet Explorer brand name, killing off a 20-year-old family tree in the process. Here's why you should be using it. 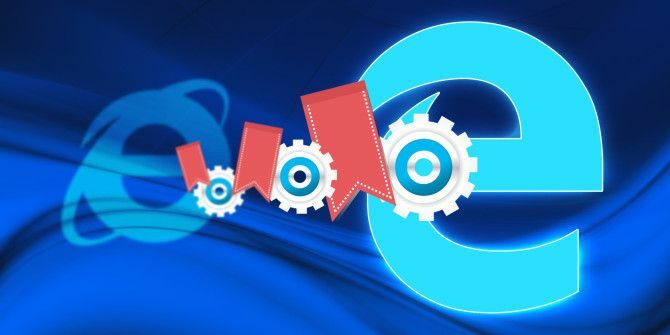 Read More along with a few reasons why Edge may not be right for you 5 Reasons Why You Shouldn't Switch to Microsoft Edge Yet 5 Reasons Why You Shouldn't Switch to Microsoft Edge Yet Is Microsoft Edge worth using while Chrome, Firefox, and Opera are still around? Is Edge good enough to be your primary browser? Read More . Only you can decide for yourself. How do you like Edge? Know of any other features that have turned out useful for you? Let us know in the comments below! Explore more about: Microsoft Edge, PDF. "If you’re browsing the web using the Edge browser and you ever want to save a web page as a PDF for later, Microsoft has made it easy to do. Little by little, Edge is catching up to other browsers." Gotta say I'm totally underwhelmed, why wait for things I can have now or get excited about getting stuff I've already had for ages ? This is more for people who like using Edge and need this feature, not so much about convincing non-Edge users to switch. Good to know, I use dopdf as my pdf printer with Chrome and Firefox, will try this with Edge.